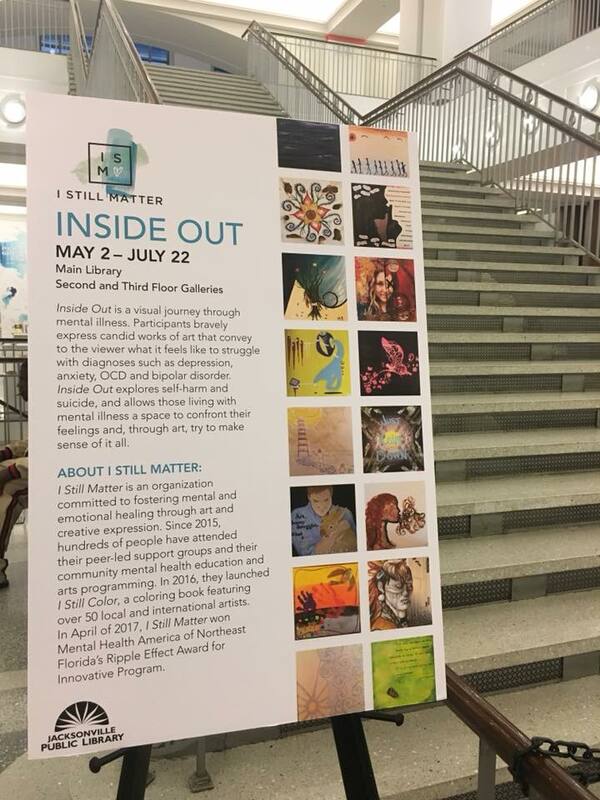 May is Mental Health Awareness Month and I Still Matter was asked by the library to be a part of their healing arts awareness exhibit titled “Prescribed Expression”. 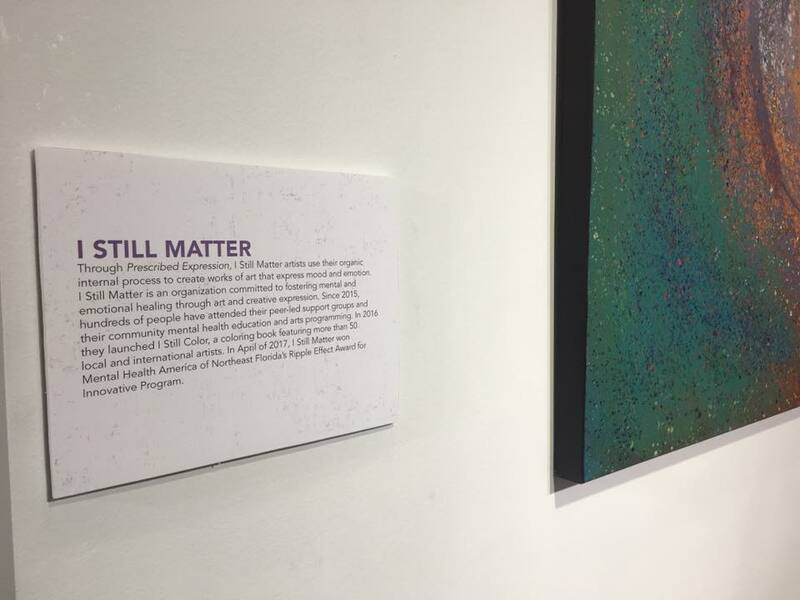 The work of Inside Out contributing artists will be exhibited between May 2nd – July 22nd. 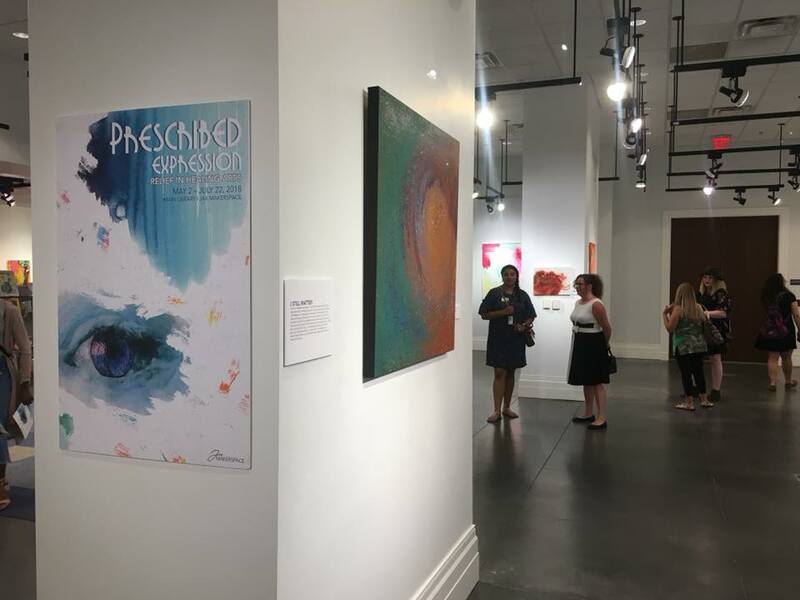 “Inside Out” is also included as part of the exhibit and is installed on the 2nd and 3rd floors of the library in the Betty Francis Gallery. Check out the JaxMakerspace while you are there! 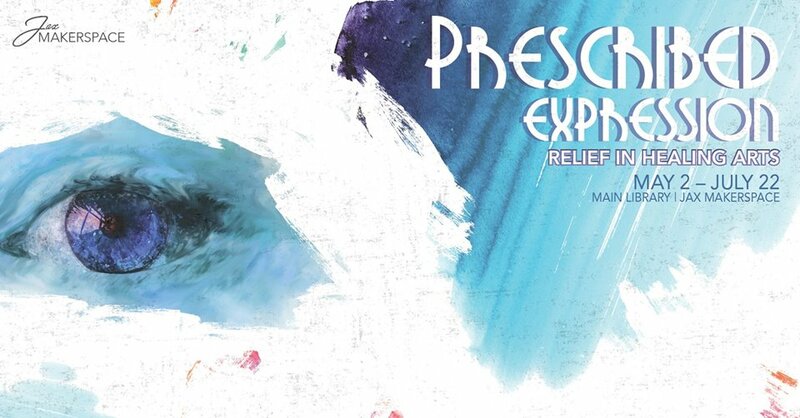 The events engaging & fun and are free to the public.